People come to Prague for the bridge, castle and clock … but usually not for the stars. It’s a little-known fact, though, but Prague could actually make a decent case for being the home of modern astronomy. At least a bunch of famous astronomers have lived and worked here over the years. No doubt there are some skeptical readers out there, including people in Toruń, Poland (the home of Copernicus), or in the Italian cities of Pisa or Padua, (both of which are heavily invested in Galileo), but Prague’s argument is pretty convincing. Last week, I wrote about the dynamic, dysfunctional duo of Tycho Brahe and Johannes Kepler; in this week’s post I talk about Albert Einstein and Christian Doppler. Top Photo: The former apartment building where Albert Einstein, his wife and two sons lived for 16 months during 1911 and 1912. It's still a very nice building (note the bust of Einstein on the front). Photo by Mark Baker. Posted in Diversions, Life In Prague and tagged Albert Einstein, astronomy, Czech, Czechia, Doppler, Einstein, history, Physics, Prague, science. Albert Einstein, pictured here sometime around 1911, or about the time he would have been living in Prague. Photo credit: Wikipedia commons. Portrait of Christian Doppler in the mid-19th century by unknown - http://www.scientificlib.com, Public Domain. Every kid probably goes through an astronomy phase at some point while growing up. My phase came when I was 12 years old. I’m not sure what sparked this particular hobby. My parents had just moved to a new house, and both my brother (who’s a year younger than me) and I were starting at a new school. The public schools in our new neighborhood were not very good, so my parents decided to send us to the local Catholic school (though neither of us was Catholic). The adjustment wasn’t easy. In retrospect, I suppose it was natural for me to dive into an interest that would allow me to leave the earth, at least figuratively, for a while and contemplate worlds far away from mine at the time. 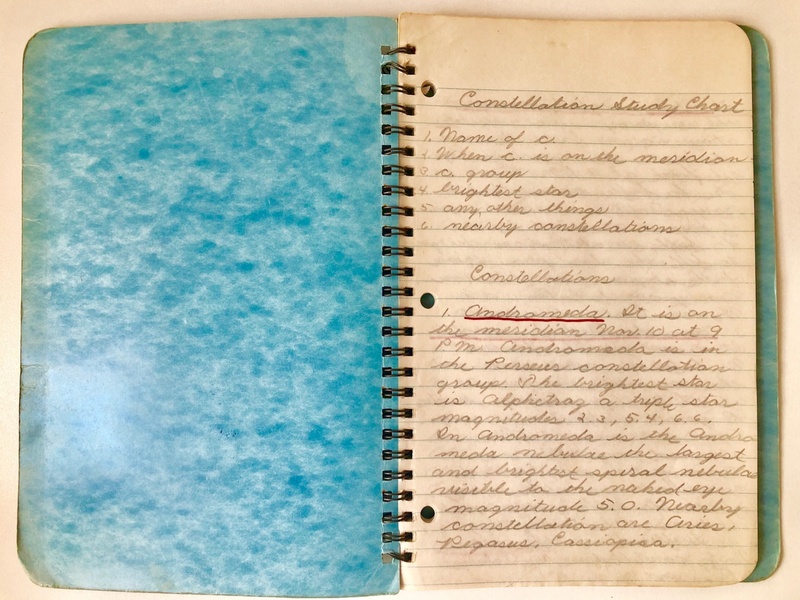 I’m not sure if my brother shared my passion back then for the stars, though I do know that I harnessed his much better handwriting in an attempt to write a book on all 88 constellations in the sky. The hope was that it would be a bestseller and widely acknowledged as a work of genius. In preparing materials for this post, I pulled out our old notebook, with the surviving scraps of the manuscript (see photos). As I remember the process, I would dictate the contents and my brother would dutifully write it all down. 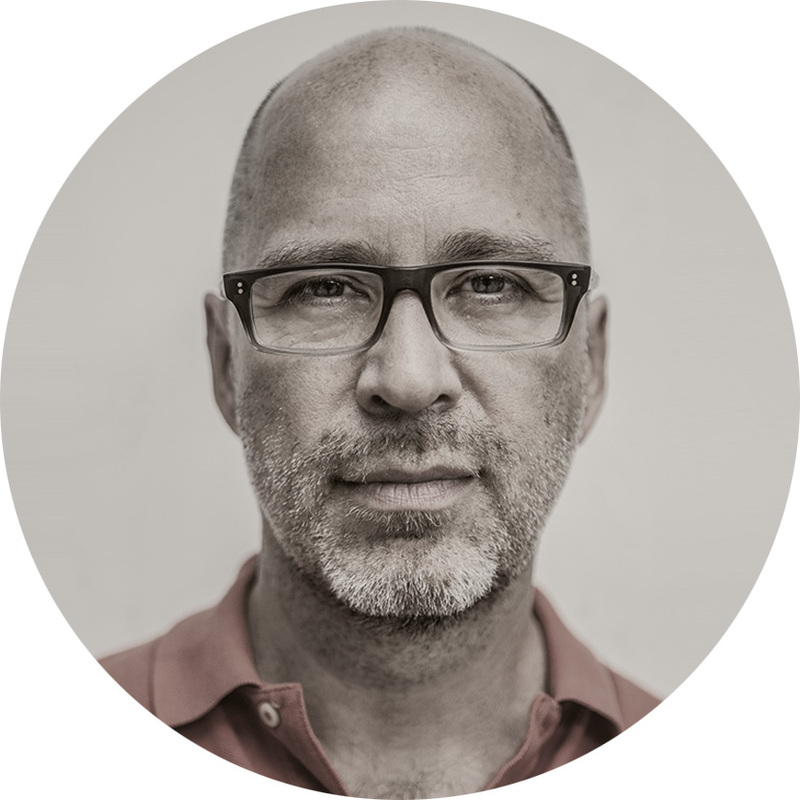 (He might remember the process differently – maybe he was both "genius" and scribe, and I was just there to witness the whole thing?) We were methodical in our approach, describing each constellation, marking the date and time they appeared on the meridian, their brightest stars, and anything else worthy of note. In paging through our old notebook last week, I realized we didn’t actually get very far. We had arranged the constellations alphabetically, and the notebook abruptly ends somewhere in the “C’s,” around Cassiopeia. I suppose my brother and I moved onto something else about that time. We both became interested in collecting 8mm movies around then. Even though we never came close to finishing the book, my layman’s interest in astronomy has served me well over the years. It’s not difficult to memorize the positions of the planets and brightest constellations, though it’s surprising how few people make the effort. One of my favorite games on a clear summer evening is to ask people what their horoscope is and secretly hope they say Gemini, Leo, Taurus, or Virgo – all easily visible in the northern hemisphere at that time of year. Lots of people have never seen their own astrological sign in the sky, and they usually seem pretty amazed it actually exists. 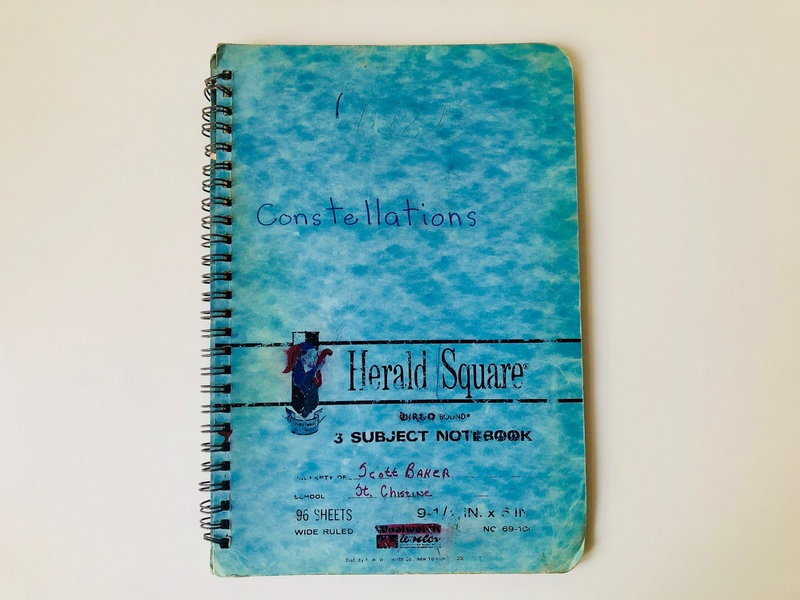 The front cover of the notebook my brother and I were filling out with our astronomical observations in a short-lived attempt to write a book on the 88 constellations in the sky. I see, suspiciously, where his name -- Scott Baker -- is listed as the author. Photo by Mark Baker. The first page of the book on astronomy my brother and I were hoping to write at the ripe old age of 12 years old. The top of the page clearly shows our methodology. Photo by Mark Baker. 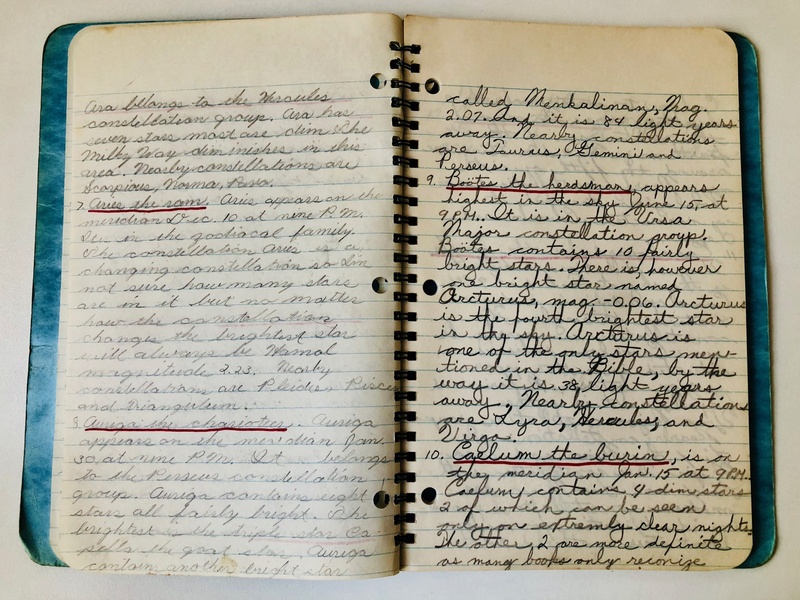 It was so much fun to go back to this old notebook and read our manuscript. I have no idea what our sources were, but I imagine we would have faced questions of copyright infringement. Photo by Mark Baker. Einstein arrived in Prague in 1911 with his wife and two young sons in tow to accept a position as a professor of mechanics and physics at Prague’s German University. They stayed around 16 months. The appointment came just a few years after the publication of one of Einstein’s early papers on general relativity, in 1905, and he was already gaining celebrity status by then. Much has been made of his residence here, particularly whether or not he had a friendship with the Prague writer Franz Kafka. It’s pretty clear from writings at the time that the two men traveled in similar circles (German-Jewish Prague) and knew of each other, but there’s not much evidence to support the fact that they had a close friendship (even though that would awesome to contemplate). Einstein’s time in Prague proved fruitful for his later work on relativity, particularly for his groundbreaking book "On the Special and General Theory of Relativity," in 1916. 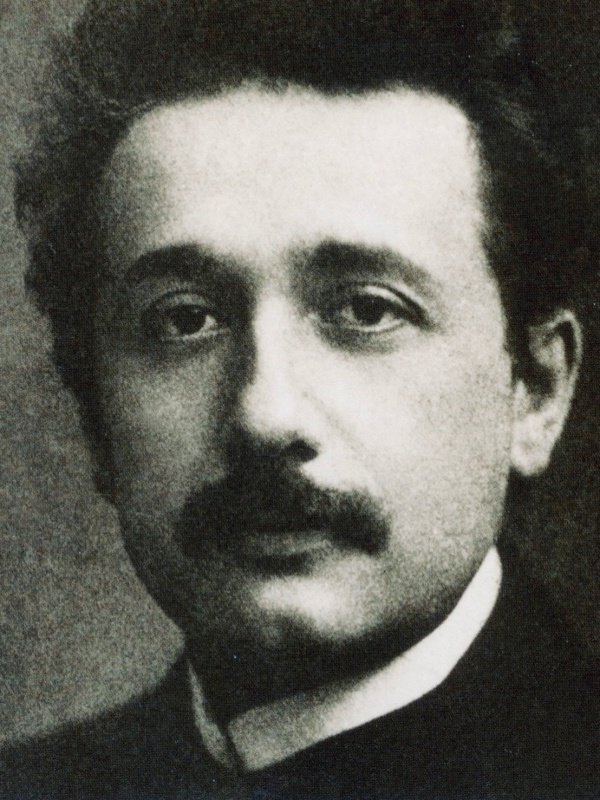 The Albert Einstein website points out that in the book’s preface, Einstein singled out his time in Prague for helping him to work out some of the stickier details of relativity. These included the notion that the refraction of light from the sun could be measured and some minutiae pertaining to the gravitational red shift of spectral lines (which is way too complicated to get into here, even if I did actually understand it). Einstein’s Serbian-born wife, Mileva Marić, a talented physicist in her own right, apparently didn’t like Prague as much as Albert did. When the opportunity arose, in 1912, to transfer to a teaching post in Zürich, Switzerland, Einstein accepted, and he and the family said goodbye to the “City of a Hundred Spires” for good. That never fails to wow me whenever I’m downtown and happen to see it. 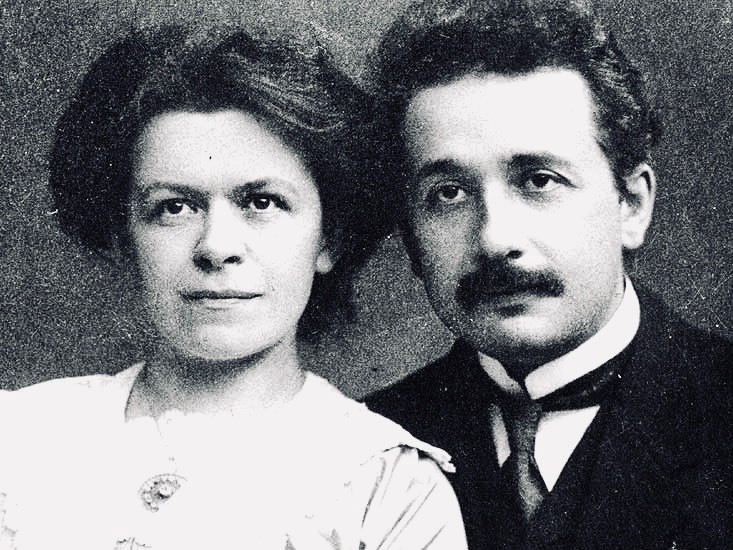 A photo of Einstein's wife, Mileva Marić, and Albert Einstein in 1911. Photo credit: ETH Library Archives, Zurich. 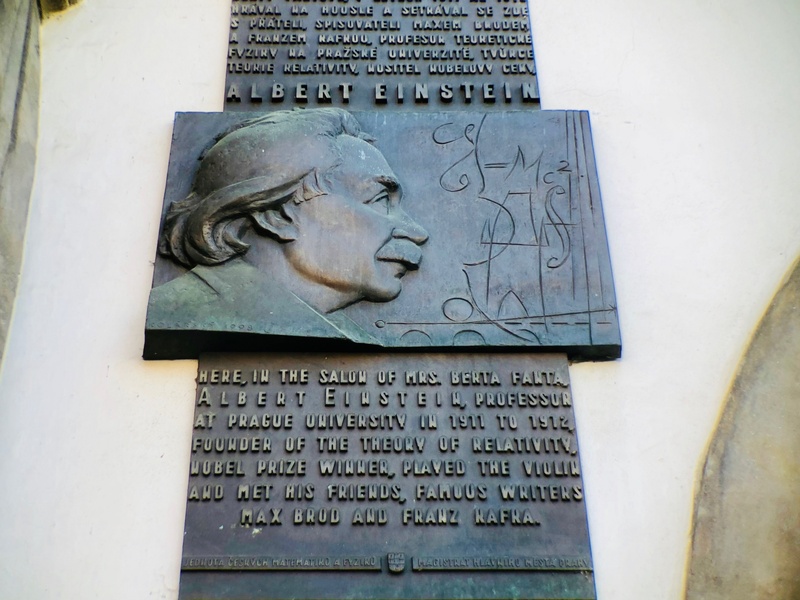 My favorite memorial plaque to Einstein's stay in Prague is on Old Town Square. Photo by Mark Baker. 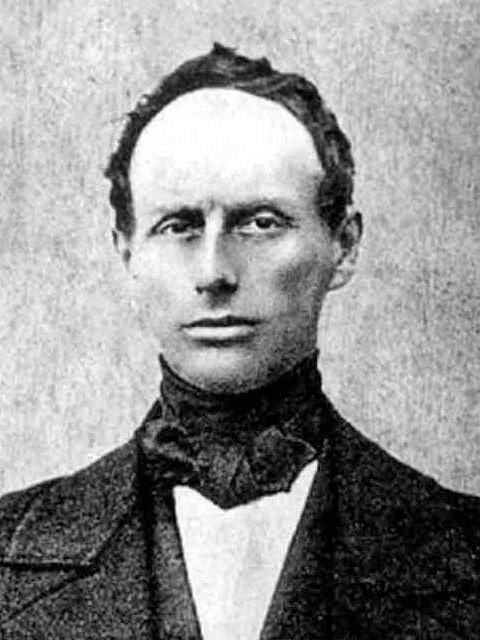 The last luminary, Christian Doppler (1803-53), whom I’ll discuss in these two posts on astronomy appears to have left the least significant mark on Prague of the four, though oddly rivals Einstein as perhaps the most famous name of all. Where would “Doppler Radar Weather” – so prominent on local television news in the United States – be without the man who first recognized the “Doppler Effect” that made it all possible? Doppler based his own findings on studying the behavior of binary stars. I actually had no idea that Doppler had spent any time in Prague at all – and I wonder how many people living here know anything about him either. I was walking home one night from an Irish pub in the center of town – the James Joyce at U Obecního dvora 4 – and saw a memorial plaque on the side of a house across the street. I took a closer look and it was Doppler’s. It reads simply that he lived in this house -- quite a nice place by the way -- from 1843-47. There’s not much information on Doppler’s life in Prague. By all accounts, he was a typical 19th-century, Habsburg-era academic. He was born in Salzburg and worked various academic appointments across the empire. The bourgeois revolution of 1848 found him in a rather precarious spot, though, which proves that being a native Austrian during the time of Austria’s greatest dominance could have negative consequences as well. When the middle classes rose up against the Habsburgs across the empire that year, Doppler, unfortunately, found himself at a Hungarian university in today’s Slovak city of Banská Štiavnica. He had to high-tail it out of there fast, and ended up riding out his career safe and sound in Vienna. 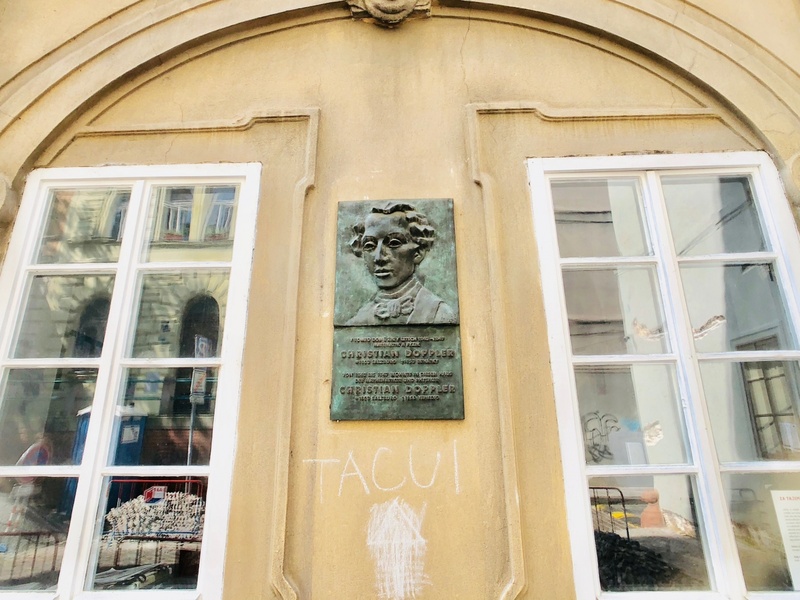 The plaque on the former home of Austrian mathematician and astronomer Christian Doppler. Dozens of people walk past here every day and scarcely notice it. Photo by Mark Baker. Prague's Astronomical Clock (orloj) has been dolled up over the years, but is a surprisingly sophisticated scientific instrument for its time. Photo by Mark Baker. I’ll wrap up this post with possibly the most convincing argument of all that Prague could credibly lay claim to being the home of modern astronomy, and it has nothing to do with actual astronomers. Think about it for a second. Aside from Prague Castle and Charles Bridge, what’s the most significant tourist attraction in this city? It’s the “Astronomical Clock" on the southern face of the Old Town Hall, of course. (It even has the word "astronomy" in the name.) In fact, it’s not a clock at all in the traditional sense. It’s what astronomers call on “astrolabe” – a scientific instrument for determining the relative positions of stars and planets. 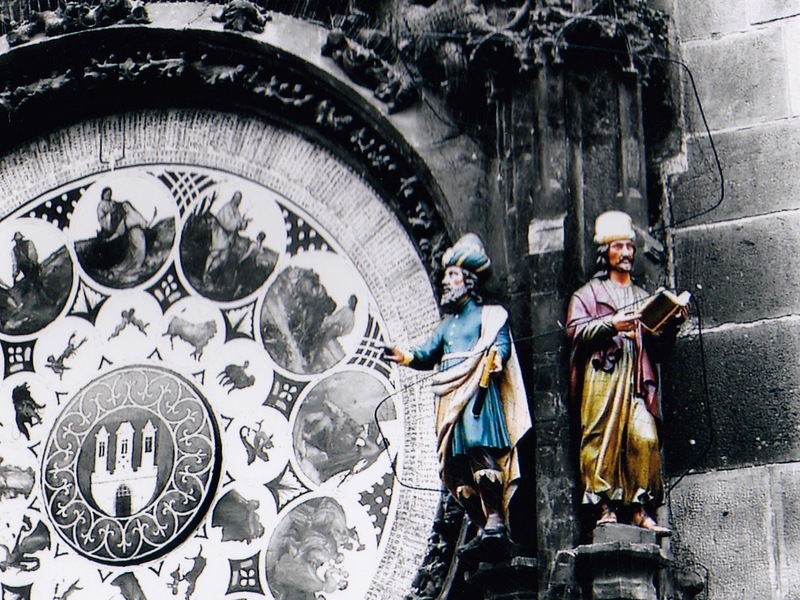 Prague’s astronomical clock has been dolled up over the years with models of the apostles and medieval figures that move and dance on the hour, but it’s actually quite a sophisticated scientific instrument. In addition to telling Central European Time, the clock’s rings show Babylonian time (calculated from sunrise to sunset), Old Bohemian Time, sidereal time, the phases of the moon, the positions of the zodiac – indeed, just about anything a budding 15th-century astronomer might need for their work. There are plenty of websites out there to help you understand the clock and astrolabe. Find a fairly straightforward explanation here, and a more complicated version here. Parts of the clock date all the way back to 1410 – in other words, nearly two centuries before Tycho and Kepler came along and began putting it all on firmer scientific footing. It seems Prague was somehow destined to play a major role in astronomy. You might even say (trigger warning: cheesy ending) it was written in the stars. This first part of this two-part series on Prague and astronomy appeared last week under the heading: Part 1: Tycho Brahe & Johannes Kepler.